Among the farmsteads distinguish the classic mansion and urban noble and merchant. «You passed the well-managed park — and among the green gleam blinked a golden cross of snow-white church. To the left and to the right can be seen different allotment. Horse neighing comes from the stables; it is heard the distant barking of dogs – it means, that there is a kennel not far from. Do you remember how many dogs various breeds are kept by the rich man Troyekurov from the A.S. Pushkin story «Dubrovsky». It smells a grilled meat – there is a kitchen and a manor house not far from here also. And what about the other numerous farmstead buildings here, of which there are a great many? Whatever one likes. Here there are large barns for storing agricultural products, and a smithy, and various kinds of workshops, and a glacier, where in the early spring were downloaded large pieces of ice and covered with straw. The ice remained all summer, so milk and cream, and sour cream, and other foods were served fresh. In greenhouses and “sheds » (greenhouses for growing southern fruit shrubs) – there fresh vegetables, fruits and berries. The house was overlooked in the manor center. It could be stone, with several floors, with columns and side wings, or wooden, with tent porch, with thick balusters, carved aprons and other decorations. In many manors to the manor estate joined the wings, intended for living maids or for guests and relatives». As you can see from the description, the owners of the manor, thanks to the prudent management, created their own closed world, where all the necessary things were always at hand. And even in the case of the guests arrival, a hearty lunch or dinner was prepared from their own reserves without any purchases from the markets and shops. City manors, according to the occupied buildings number and area, as a rule, have been more modest. 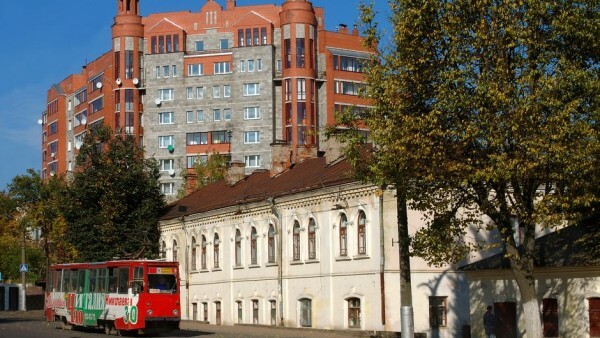 Among the objects of the cultural heritage of Smolensk, there have survived urban manors located in the Nowo — Roslavl street, house 3 and Tenishev street, houses 21, 23.